If you thought stunning images of nebulous gas clouds in space couldn't get any prettier, think again. 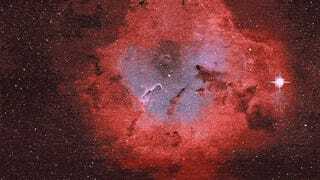 Finnish astrophotographer J-P Metsävainio has combined art and science to make these stunning 3D-esque animated GIFs of nebulae. "I use a 'rule of thumb' method for stars: brighter is closer, but if a real distance is known, I'm using that. Many 3D shapes can be figured out just by looking carefully the structures in nebula, such as dark nebulae must be at front of the emission nebulae in order to show up etc... the general structure of many star forming regions is very same, there is a group of young stars, as an open cluster inside of the nebula. the stellar wind from the stars is then blowing the gas away around the cluster and forming a kind of cavitation - or a hole - around it. 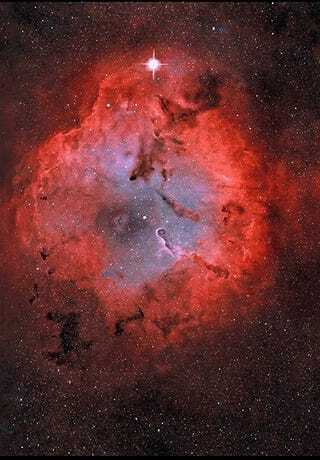 the pillar-like formations in the nebula must point to a source of stellar wind, for the same reason."